Michael, 31 Jan 2011is the micro SD used in X8 the same with the one for Nokia? i have 4GB for my nokia now, i ju... moreMicro SD is a standard maybe you're trying to say is the M2 for sony ericsson. 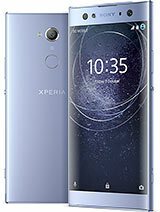 is the micro SD used in X8 the same with the one for Nokia? i like its features. i think it must be best 4 all ppl who like sony. i've recently bought xperia 8. it is really wonderful, but unfortunnately ithere is no arabic in the language list. please tell me what to do? why haven't you included this international language in it? do you thjink we won'ty be able to handle it? Anonymous, 30 Jan 2011bit confused ,x8 or htc wild fire. In x8 copy 2 sd is not possible, only 3 mega pix, htc cover... morewildfire of course. bit confused ,x8 or htc wild fire. In x8 copy 2 sd is not possible, only 3 mega pix, htc covers all except its screen resolution and music clarity. I dont want to mis se. What to do friends? Anonymous, 30 Jan 2011you can install apps2sd. it will allow you to save apps to sdcardreally? Michael, 29 Jan 2011it'll be perfect if X8 has at least 1GB internal memory to compensate the lack of Froyo....I agree.